This screenshot is from this one time I loaded into Crucible alone against a team of four. It still cracks me up. One of the most pervasive complaints among those who play a lot of competitive Destiny 2 is that the game is too slow. Players don’t move around fast enough, and it takes too long to defeat an opposing player. It sounds like that’s going to change. Today on the ol’ Bungie blog, design lead Josh Hamrick explained some of the changes to the game’s “sandbox” that are currently in the works. The changes he listed focus largely on increasing movement speed, buffing weapons, and speeding up cooldowns. The term sandbox relates to the overall balance of weapons and abilities in the game. 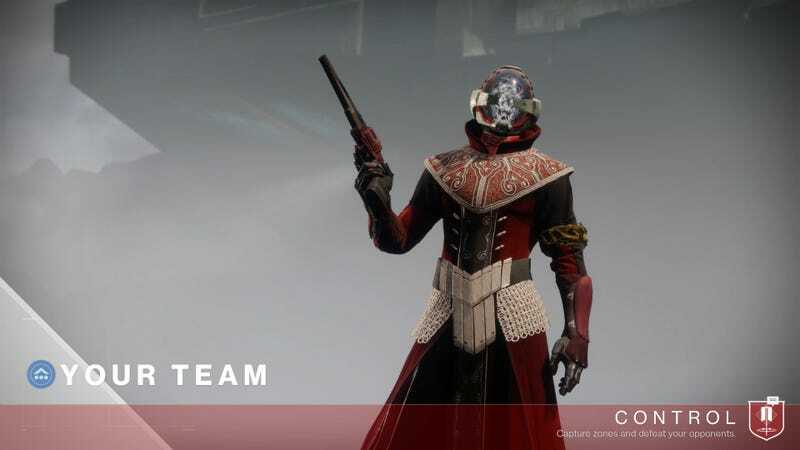 Destiny 2's sandbox has come under sharp criticism from players over the past few months, yet has remained largely unchanged since Destiny 2 first launched last September. “Our goals for this round are to provide individual players with more hero moments by increasing overall speed and mobility, increasing the amount of supers you charge to demolish your enemies, and increasing the frequency and impact of our most montage worthy power weapons, especially in the Crucible,” wrote Hamrick. ∙All three glides plus Catapult and Strafe Lift have been retuned and buffed to make them more unique and faster. - Increased range of all attacks. - A key goal here is to make Shotguns, Snipers, and Fusion rifles more prevalent in the game. - Player respawn times for all Quickplay modes have been decreased. - Power Ammo respawn timers for all Quickplay modes have been reduced ~30%. - Power Ammo respawn timers in Survival have been reduced ~40%. - Power Ammo respawn timers in Countdown have been reduced ~25%. - Ammo counts have been adjusted in relation to these timers, and in relation to weapon type. - Enemy players now drop their power ammo on death. The dropped brick is available to anyone until picked up or 30 seconds have passed. He closed by noting that the Titan shoulder charge was being reverted to how it worked before its recent distance nerf, explaining the reasoning behind the nerf while acknowledging that it didn’t work out how they wanted. Quick take on this: These changes all sound aimed at bringing things closer to the faster-paced, more deadly Crucible of Destiny 1. That should make a lot of players happy, though I say that as someone who doesn’t actually hate Destiny 2's overall PvP philosophy and weapon balance. It remains to be seen how all those changes will work in practice, of course, but I could see a more ability-focused, faster-paced, more deadly D2 Crucible being plenty of fun. As with many of the changes Bungie has announced will be coming over the next year, only time will tell. Furthermore, beyond any one specific change, it is nice as ever to watch Bungie continue to open up and share more information with players. You can find the rest of the Destiny 2 weekly update over at the Bungie blog.